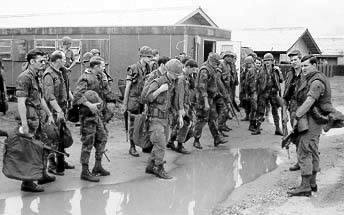 Plans for a United States Air Force Base at Tuy Hoa were developed in 1965 after the 1964 Gulf of Tonkin Resolution and the decision to deploy large numbers of United States forces to South Vietnam. 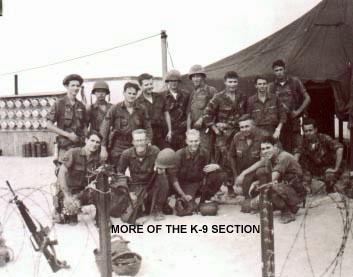 The base was one of several air bases in the former South Vietnam built by United States Air Force RED HORSE civil engineering squadrons in 1966. An advance construction party of the 820th Civil Engineering Squadron (Heavy repair) arrived in June. 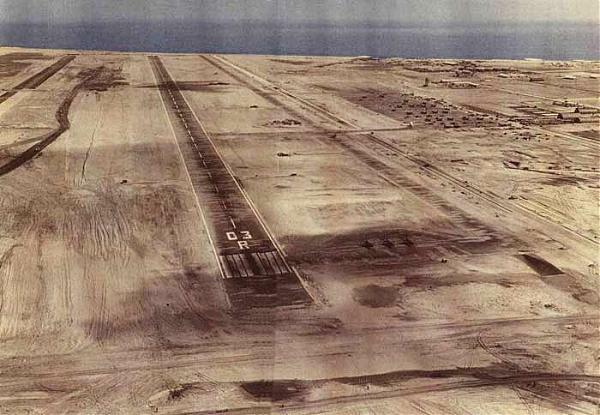 Within six months, with the completion of interim airfield facilities, the base was in operation. This unit completed nearly 50 percent of all construction completed at Tuy Hoa, including: 170 aircraft protective revetments, 120,000 square feet (11,000 m2) of wooden buildings, and 175,000 square yards of AM-2 matting. In addition, the 820th CES operated a rock crusher 9.5 miles from the base and hauled aggregate through enemy-held territory to the base. Tuy Hoa was originally envisioned as a Strategic Air Command B-52 base. However, security concerns of basing SAC's bombers directly in South Vietnam resulted in the assignment of B-52s to U-Tapao Air Base in neighboring Thailand. Tuy Hoa was given a tactical air support mission instead.